Have 10 minutes? 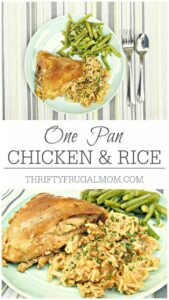 Then you can make this simple One Pan Chicken and Rice dish! 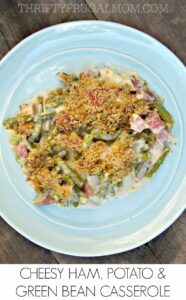 It’s comfort food at it’s best and is one of the easiest recipes ever! There’s something about chicken and rice that just goes together perfectly! It’s kind of like peanut butter and jelly or crackers and cheese. It just works…. Simple, inexpensive and tasty, this Hamburger Zucchini Bake is my new favorite way to eat zucchini! The tomatoes are so pretty and give it a nice pop of flavor. There are affiliate links in this post – please read my full disclosure policy. My go-to recipe when I have zucchini is my Crustless Zucchini Quiche….